Ahh, the cute and funny things a kid does, when they trip and fall we seem to find it a little bit funny because they usually make it look good and never get hurt. 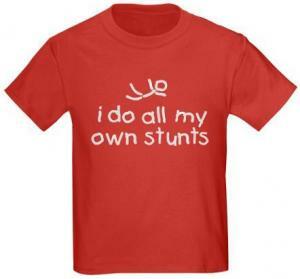 This is a t-shirt that features a stick man falling down and the saying “i do all my own stunts” on the front. A very durable long lasting t-shirt that is made from 100% cotton and is available in sizes KXSmall, Small, KMedium, KLarge, KXLarge, and colors Black, Navy Blue, Royal Blue, Red and check out all the different styles of shirts you can get this printed on. 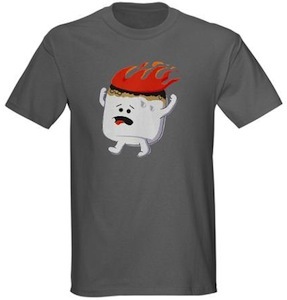 Here is a very adorable t-shirt that will look super fun and cool. 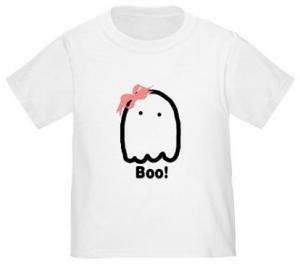 This t-shirt has a cute little ghost on the front wearing a pink bow and two small dotted eyes, also find the text underneath the ghost that says “Boo!”. Made from 100% cotton which will make this t-shirt very comfortable and last a long time, it is available in sizes 2T, 3T and 4T, aswell as colors white, pink, baby blue and daffodil yellow. You can also get this t-shirt printed on many different styles of shirts like adult, womens fitted, kids, organic and many more. Need the perfect excuse for why you do not have your homework. Here it is on the front of this t-shirt, find “ZOMBIES ATE MY HOMEWORK” with the “ZOMBIES” colored in a scary red and under the “O” is a little freaky skull. You can find thist-shirt in sizes KXS, KS, KM, KL, KXL, and in colors black, navy blue, royal blue and red. Also check out all of the different syles of shirts you can get this print added to. A kids foundation starts with colorful building blocks, and then who knows where it could lead. This is a really fun t-shirt that features a house made from building blocks, with red, blue, green, orange and yellow colors that make this t-shirt stick out. 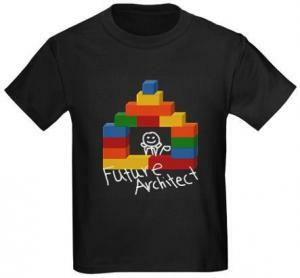 Also find a hand drawn little person and the text “Future Architect”. A very comfortable t-shirt made from 100% cotton and is available in sizes KXSmall, KSmall, KMedium, KLarge and KXLarge, and choose from shirt colors Blue, Navy Blue, Royal Blue and Red. 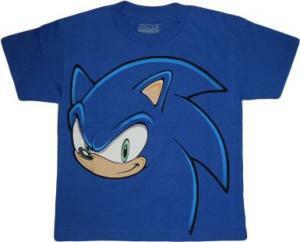 The cool and flashy Sonic the Hedgehog has an unmistakable face, this is a kids t-shirt that features Sonic. Find a large Sonic face on the front with the spikey hair flowing back in a wheel, the facial expression shows you exactly how serious and intense Sonic the Hedgehog has to be to complete all of the tasks and levels. Made from 100% cotton and is a royal blue color, a very comfortable and durable t-shirt that is available in sizes Boys (8 – 20). See more about the Sonic The Hedgehog Face Kids T-shirt. 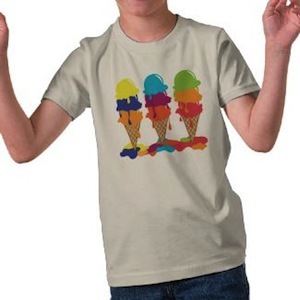 Kids love ice creams and that is why they will love this t-shirt. This t-shirt is made out of 100% organic cotton and shows 3 yummy colorful ice creams that are all melting so start to eat them quickly. Not only is this t-shirt printed in the USA it is also manufactured by American Apparel in the US. And kids love ice cream as much as adults so besides being an kids t-shirt is come also in grown up sizes and styles. Any time is ice cream time specially when you are wearing this Ice Cream Cones T-Shirt. This is a cool, fun t-shirt for your little one. 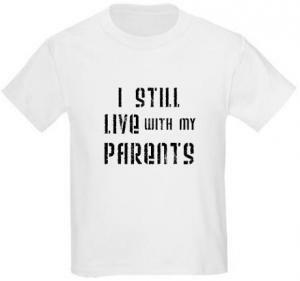 On the front of this t-shirt you will find the saying ” I STILL LIVE WITH MY PARENTS”, a very cute and fun saying for a kid to say. Made from 100% cotton and available in sizes KXSmall, KSmall, KMedium, KLarge, KXLarge, also choose to get this t-shirt in colors white or ash grey and check out the many different styles of shirts. 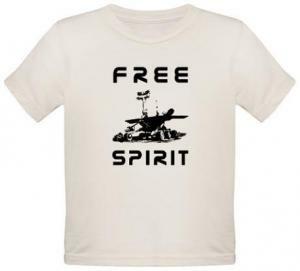 Support the awesome mission to mars with this t-shirt that has a fun and cool image of the mars rover on the front, along with the saying “FREE SPIRIT”. Find this t-shirt in a wide variety of colors aswell as many sizes to choose from, it is 100% cotton which will make it very durable and extremely comfortable. Don’t forget to see all the different style of shirts you can get the mars rover free spirit printed on.